ZED Press is a literary press based out of Windsor, Ontario. We are currently focusing on chapbooks and an upcoming online blog series called localE. We envision ZED Press providing a space for experimental and formally challenging writers to showcase their projects. ZED curates an artisanal aesthetic, valuing the hand-made and messy, where mistakes reflect authentic individuality instead of uniform sleekness. We hope to highlight a collection of voices that are underrepresented in Canadian literature: women, Indigenous writers, writers of colour, LGBTQIA2S writers, writers with disabilities, and other underrepresented groups. ZED can take or leave punctuation but always accepts new voices, quiet or otherwise. ZED identifies as Canadian, but will not be exclusively defined by historic Canadian literature. This Canada breathes deeply, shakes snow off, is not afraid to get a few tattoos and write love poems for pizza. ZED pushes past and forward, jostling both the historical and contemporary Canadian poetry landscape. We, as a small Canadian press, seek to provide a platform for writers whose visions include multimedia, incorporation of images and visual poetry, collaborations with artists—creators whose work does not fit within the confines of the standard chapbook model. There are already a few incredible presses working in this direction—Jack Pine Press, Puddles of Sky, and Swimmers Group—and ZED aims to provide another space of freedom for unbound literary expression. We are starting with a focus on writers who began their journey in the Windsor literary community, but we will expand outward to include voices throughout Canada and the globe. 1 – When did ZED Press first start? How have your original goals as a publisher shifted since you started, if at all? And what have you learned through the process? We started on a fall or late summer day in 2016. It could have been raining, because that would totally set the mood. But the drought was pretty bad in Windsor that year, so it probably wasn’t. Our goal to publish amazing, innovative work from Canadian authors has been fairly consistent -- as we’ve currently published work from Jon R. Flieger and Hollie Adams, who are both Canadian and have been part of the Windsor writing community. Currently our most important lesson has been where to place your hand when punching through a chapbook to create stitch binding. Sadly, “blood, sweat and tears” can be taken quite literally in creating literature. For the sakes of our readers, however, these special chapbooks have been taken out of circulation. ZED came into existence thanks to the closeness between peers during the Masters English and Creative Writing program at the University of Windsor, as well as our experience taking a workshop run by the Toronto arts collective words(on)pages. We drove up every Thursday from Windsor to take the workshops. There were so many Windsorites enrolled they had to limit outside city enrollment because we were taking too many slots. The stitch binding we used for our first releases was what we learned in those workshops. We are indebted to the existence of those workshops and the guidance words(on)pages provided. In Windsor, both the University of Windsor creative writing classes and the English Undergraduate Student Association make chapbooks. There’s also Generation magazine and a pair of editing and publishing classes run by Black Moss Press’ Marty Gervais, where students edit a full-length manuscript, design the book, and launch the book in one of the biggest literary events in Windsor. Several graduate students at the university also have the experience of mentoring this class, as well as overseeing seeing The Windsor Review each year. Many of us have been involved in these various projects throughout the years. This is a continuation of our years of experience in editing, designing and crafting chapbooks, as well as full-length books. We also wanted to extend our talents to giving back to -- and improving -- Canadian literature. Small publishers have the ability to publish outside the usual boundaries of mainstream publishing. It’s our role to provide a platform for voices who may not get heard. It’s an interesting balancing act, because there’s always a cash issue. How does one run if they can’t sell their work and they don’t currently have a grant? Labours in love can succeed for quite a long time. Local writers are also of interest: Windsor is currently growing many different connections outside itself. If that phrase doesn’t share how isolated Windsor can feel from the scene, we don’t know what can. Through this, we hope to break down the boundaries that many in Windsor face and provide an avenue for voices and styles not commonly found within the big publishing houses, which can hopefully lead to art that contributes to larger conversations and communities. Collaborating also with other young presses. We put a lot of effort in to make our chapbooks unique and take into consideration every aspect of the book and its presentation (beyond just interior editing) when designing the whole. 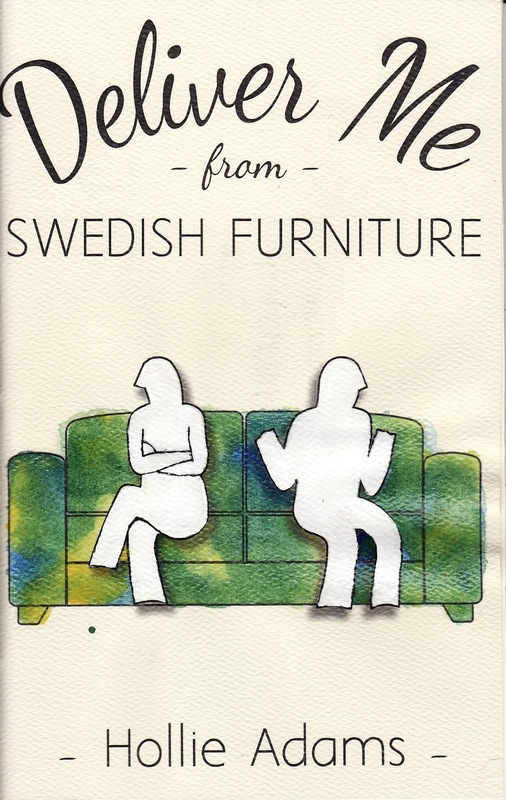 For example, one of our chapbooks -- Deliver Me From Swedish Furniture by Hollie Adams -- focuses on the constant renegotiation that happens in a relationship when two people move in together; the covers of Hollie’s chapbooks are each painted different colours because of this changing nature and because each person has a different relationship to the book. Finding chapbooks that are doing something different from what others may be doing. This also requires people doing different things to see our call and submit to us (if you’re reading this and you think you fit within what we’re looking forward, please submit to us when we have an open call). But if this question was aimed at how we’re distributing chapbooks. Well, we like to go to press fairs and other cool, art-oriented events to connect and sell with other artists and enthusiasts. Right now we want to expand our networking out of Windsor. To expand we need to increase our circles so that we can break into other markets, like the Toronto crowd, and hope that what we have is fresh enough to attract a niche interest, rather than oversaturating the chapbook world. Our goal with editing is to make our authors’ chapbooks into the best versions of themselves, so we go deep when we need to, working closely with our authors to cut, add, reorganize, and ultimately shape their work. We’ll take a large period of time to work with our authors on edits. We want to make sure it’s the best union of author and editor. We take around three to four months of back and forths, depending on what needs to be changed and what the author feels comfortable with. It’s always about finding the line of what needs to be done and where the author feels the text is. Our print runs are currently limited; 100 chapbooks only. With our first series of chapbooks now completed, we held a launch and began scouting out press fairs as an introduction into the scene. There’s some talk of consignment and other events, but it’s all dependent on what ZED can do. Mainly we’ve been selling at local Windsor things, and have recently reached out to local bookstore to stock a few chapbooks.. While ZED is based in Windsor, a lot of us have scattered and will continue to scatter: Windsor-Essex, Ottawa, GTA-ish, Montreal, Japan. We’re hoping to meet a lot of people along the way and share what we can. While this adds more opportunity for our chapbooks to be distributed by hand -- like at press fairs and events -- we are also working on implementing an online avenue for ordering. Everyone involved in the production is part of ZED. Currently, there are five of us. We usually split the workload to two people per chapbook -- one designs, while the other edits. 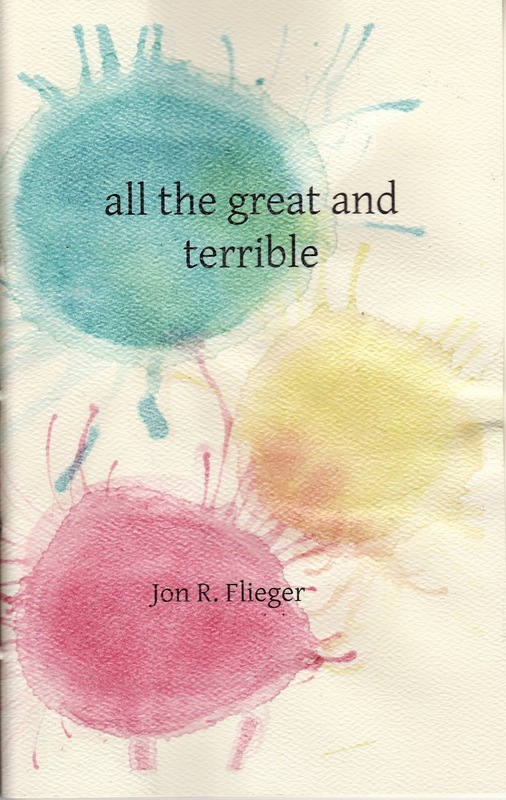 But we all came together to print, assemble, and hand-paint the final chapbook. During the editing process, it is helpful to have multiple opinions besides the author’s (since editing can be so subjective), but also helpful to not have TOO many, which would obstruct progress. For design choices, we can confer with the whole group, or just those who have the most experience with graphic or book design, depending on what opinion or help we’re looking for. Other folks not focusing on a chapbook split their time between managing social media, emailing, accounting and other administrative tasks. We’re also writing this together. We’ve been told before to write projects that would be of publishable length and interest, but that’s difficult for us because some of our attention spans, writing-wise, is usually very short. We prefer to write about my current interests rather than writing for market. Other than that, publishing experience hasn’t changed our attitude towards personal writing as much as creative writing classes and workshops have, although they are very closely related. Being involved in the publishing process has helped us to step back and be more critical of our own writing and be even more open to the editing process. We view our writing both as something artistic and as a product. We’re more aware of how an audience would react to our work and this awareness helps us shape our pieces so we’re able to convey what we would like to as clearly as possible. Publishing has given us the ability to cope more with rejection: we remind ourselves that publishers and magazines take so many submissions, so it’s hard to get as disheartened when you remember you can be one in such a large pool of many. Editing has been extremely helpful in terms of gaining a balanced perspective. It’s helpful to see how other people put ideas together and structure their pieces. It’s best when we’re constantly exposed to other’s ideas that we can expand out of. We’ve discussed the idea of publishing our own writing at some point, but we’re not far enough along to seriously consider it yet. Our highest concern is for quality, and we’re familiar enough with each other that we know we’re capable of good quality work, and also close enough friends that we won’t let something bad slide through. Altogether, it isn’t worth it to publish oneself: at least not for a product for sale. There’s something to say about the fact that many small presses often see each other at fairs and events and it can be a good way to share and examine what everyone is doing writing wise. However, it would feel partially hypocritical to try and publish and sell one’s own work out of a different name. We strongly hope not to sell my own work: however, we know this answer is hypocritical. We had a backlog of old chapbooks and we sold some that we were part of. It comes down to paying new authors, instead of paying ourselves. We want this to be a learning experience of the process so we can approach other publishers with an eye of understanding rather than lines of publication. 11– How do you see ZED Press evolving? We have plans for a magazine in the immediate future, and perhaps some legit longform books down the line. Having future goals and “next steps” helps keep us excited and interested in what we’re doing. Change will happen over time, as we bring people to share a thrilling experience, a literary adventure with us. It’s about the journey, not the destination. We’re proud and scared of how fast we’re moving. We published our first two chapbooks and brought them to Ottawa within 10 months of banding together as a press. We’re so new and small it can be hard to understand what might go right or wrong. The biggest frustration is distance from the larger scenes. But sometimes -- hopefully -- through these struggles we’ll grow stronger as a press. We’re also extremely proud of the time and effort we put into the physical production of our first chapbook run. We pulled some late nights and long hours and produced an aesthetically beautiful and literarily kickass product. We also learned a lot about how our team works and meshes, what strengths and weaknesses we have, that sort of thing. The biggest frustration is being able to see the future but not touch it yet; we’re going to be able to network and produce and be successful, but it’s going to still take a lot of work and love labour. That instant gratification complex is something we have to constantly fight against. We have to thank words(on)pages, as their workshop is probably the biggest factor contributing to what is now ZED. But we also have to thank all those other projects we’ve been a part of, which we listed above. 14– How does ZED Press work to engage with your immediate literary community, and community at large? What journals or presses do you see ZED Press in dialogue with? How important do you see those dialogues, those conversations? One of our avenues for engaging with the literary community is the blog on our website. We are present in the community and like to show that by writing up the events we attend afterward; this also gives people in Windsor the opportunity to discover these literary events or communities, if they are unaware, and we even on occasion invite the members of those communities to write articles for us and show their perspective of those events and communities. We solicited local writers for our first run, and are planning on doing the same in the future when we have special reading series, or involving local spaces and groups in workshops. Writing is never a solitary act -- the solitary author doesn’t exist. Place and community are crucial to the process of writing and hope to be an anchor for which writing can flow and swim around. We are currently planning to work with some local presses to do a small press fair of our own in April after such enjoyable experiences in Ottawa. We’ve been talking about starting a reading series and we hope to continue having a yearly launch for our chapbooks. Events in physical space build community: without a continued presence, it’s impossible to stay engaged. It’s also a great way to connect with the scenes in the area: Biblioasis, Urban Farmhouse Press, Palimpsest Press, Windsor Poetry Slam, Woodbridge Farm, Toast. These are some of the groups we hope to collaborate with in the future. We previously mentioned our blog/website. How does one do anything these days without promoting themselves on social media? Besides that, we like to engage directly with authors on Twitter and Facebook. We take pictures of our work and upload on instagram for all the world to see. Really, the internet -- more specifically social media -- is crucial for getting the word out about launches and submissions periods. Word-of-mouth, however, is also important to use for this, as people linked to our social circles are more likely to remember and act on more personal interactions. Sadly, the internet has not yet allowed us to be complete writing hermits. Our submissions are open until the end of summer with more details available at the following link: ZEDpresswindsor.wordpress.com/submission-guidelines. We enjoy a lot of different styles of writing, but traditional versed poetry wouldn’t suit us. Also, remember that we’re currently looking for chapbook sized or smaller works. We accept poetry, fiction and creative nonfiction. Technically, we only have two right now: Deliver Me From Swedish Furniture by Hollie Adams and All The Great And Terrible by Jon R. Flieger. We’ve also been to two small press fairs in Ottawa where we were selling various other projects we were part of, such as How to Pluck Your Feathers and The Box(ed) Set, as well as some copies of Generation magazine. There’s something powerful about creating a first chapbook run. These chapbooks were a chance for us to try new things and see what we liked and didn’t, how much labour it would take to make the chapbooks in ways we thought fit the authors and their work. We hope to always provide a unique touch to our author’s work.